THIS MEANS I may not have to hate cooking anymore! 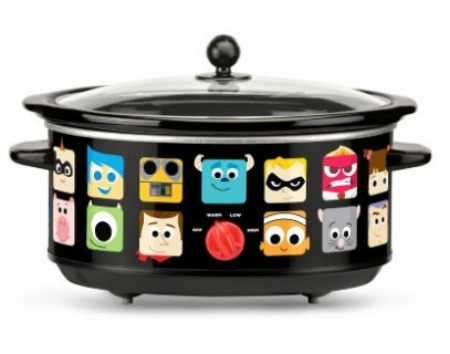 How could you hate cooking in a Pixar Slow Cooker? Just looking at those faces would make you happy, right? One order of Remy’s Mac and Cheese, comin’ up! Wall-E-sagna, headin’ your way! Boo’s Booberry Oatmeal? Ready when you are! That is absolutely adorable, hrmmm. I wonder if I could convince my husband that I need another crock-pot.